Our sales mixer is next week! Join our networking event, paired with a panel discussion on Sales for Small Businesses. Our panelists are renowned business people with expertise in real estate, law and entrepreneurship. 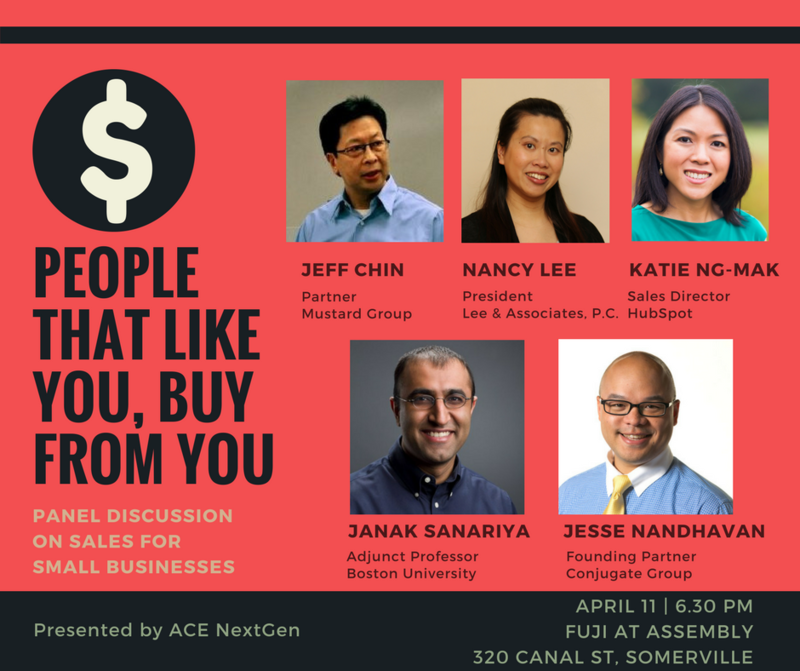 The discussion will be moderated by Kit Pang, CEO at BostonSpeaks. The discussion will include anecdotes of how the panelists learned to be good at sales, and about times when they failed at sales and what helped them to pick up. - Nancy Lee, president and managing attorney of Lee & Associates, P.C. Check out our speaker Katie Ng-Mak's interview here for a sneak peek on her views about what the ideal sales persona looks like in the current business world and how it is expected to evolve in the future. We are kicking off the event with appetizers and networking at 6.30PM. The panel will begin at 7.30PM with our speakers sharing their experiences and answering questions from the audience. Event is $5 for non-members and FREE for paid members. Our membership is $100 charged annually and members get first priority for all our events, with either discounted or free tickets. Join our membership here. Members please email infonextgen@nationalace.org to RSVP.